Philadelphia Health Partnership strives to eliminate disparities in access based on national origin. 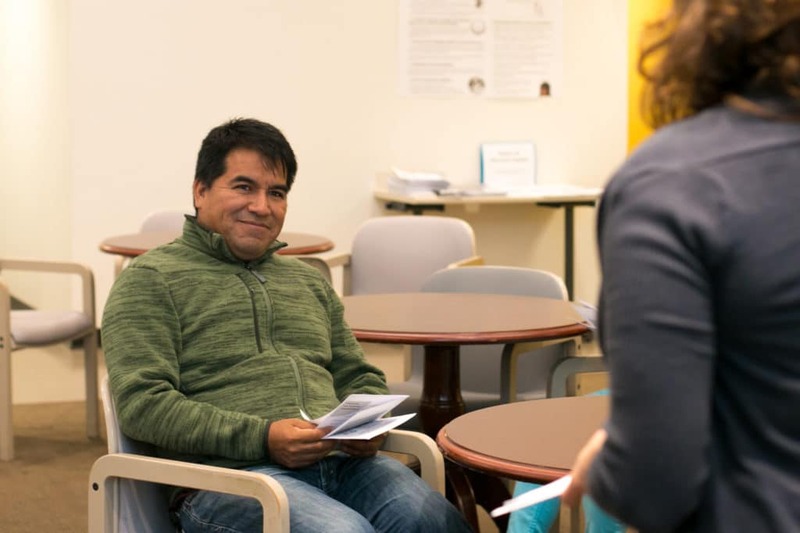 In doing so, we support strategies that connect immigrants and refugees with quality care and services and increase their utilization. Foreign-born residents in Philadelphia are diverse in their life experiences and circumstances: from refugees who left their home countries seeking freedom from persecution to immigrants who came to the United States pursuing educational and employment opportunities. 218,830 foreign-born residents live in Philadelphia County: 13.8% of the population. 58.3% of foreign-born residents have entered the United States since 2000 or later. 46.1% of foreign-born residents in Philadelphia County are below 200% of the federal poverty line. 47.6% of foreign-born residents are not citizens. 69,860 children in Philadelphia County have 1 or more foreign-born parent. Many foreign-born residents thrive in Philadelphia County. Yet, low-income immigrants and refugees face unique barriers to accessing and utilizing quality care and services, particularly those who are not citizens. The 2017 ACS found that only 74.4% of non-citizens in Philadelphia County have health insurance compared to 92.9% of naturalized citizens and 94.4% of US-born citizens. Nationally, the 2016 National Health Interview Survey (NHIS) found that 63% of non-citizen, low-income adults (below 200% of the federal poverty level) saw a medical professional in the past year versus 81% of U.S.-born, low-income adults. According to the NHIS, only 56% of non-citizen, low-income children had a well-child check-up in the last year versus 84% of US-born, low-income children in citizen families (to read more NHIS analysis by Dr. Leighton Ku, click here). In addition to facing challenges accessing health care coverage, foreign-born residents often struggle to navigate the health care system when they do seek care. Many providers do not have the capacity to bridge linguistic and cultural differences, limiting immigrants’ and refugees’ access to the information and resources needed to make appropriate health decisions. Fragmented systems also make it difficult for immigrants and refugees to connect with varied supports that promote well-being – from legal assistance and housing counseling to educational and employment programs. To address these barriers, the foundation supports immigrant- and refugee- serving organizations working to improve access to and utilization of quality care and services. © 2019 Philadelphia Health Partnership. All Rights Reserved. Web Design by Push10 Branding Agency.